Thai billionaire Vichai was among five people killed when his helicopter crashed outside the King Power Stadium on October 27. Leicester paid an emotional tribute to late owner Vichai Srivaddhanaprabha before their goalless draw against Burnley, while Newcastle boosted their bid to avoid Premier League relegation with a 2-1 win over Bournemouth on Saturday. Ahead of their first home game since the tragic accident, around 10,000 Leicester fans were joined by Foxes players including Harry Maguire and James Maddison on a march towards the King Power in remembrance of Vichai. Under Vichai’s ownership, Leicester won the Premier League in 2016, having started the season as 5,000-1 outsiders. On Friday, Leicester announced plans to erect a statue of Vichai at the stadium and the club honoured the charismatic owner with a poignant tribute video and a two-minute silence prior to kick-off. Vichai’s son Aiyawatt laid a wreath and tears flowed around the King Power as fans held up scarves with the slogan ‘Forever in our hearts’. 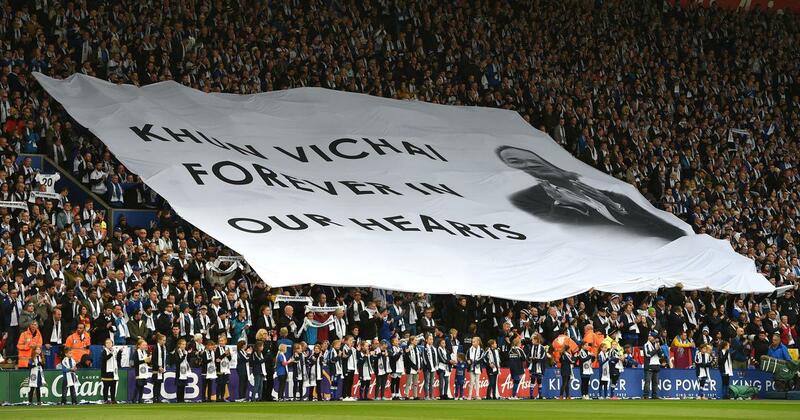 There was also applause in the 60th minute to mark Vichai’s age when he died. Leicester, who beat Cardiff 1-0 in their first game following Vichai’s death, had flown many of their squad to Thailand for part of the owner’s funeral. Claude Puel’s side shrugged off any fatigue with a dominant display against Burnley, but they couldn’t find what would have been a fitting winner. At St James’ Park, Newcastle sealed a second successive league win for the first time in nine months. Salomon Rondon scored his first Premier League goal for Newcastle when the on-loan West Brom striker netted from close range in the seventh minute. Bournemouth lost Adam Smith to a serious knee injury that left the defender needing oxygen during eight minutes of treatment before he was carried off. Rondon doubled Newcastle’s advantage five minutes before half-time, heading in from Kenedy’s cross. Jefferson Lerma reduced the deficit with his first goal for Bournemouth in first half stoppage-time, but Newcastle held on to move away from the relegation zone. Huddersfield remain in the bottom three after West Ham salvaged a 1-1 draw at the John Smith’s Stadium. David Wagner’s side went ahead in the sixth minute when Alex Pritchard drove his shot past West Ham keeper Lukasz Fabianski. But Brazilian midfielder Felipe Anderson levelled for West Ham with his third goal in his last two games in the 74th minute. Southampton have gone eight league games without a win after Watford snatched a 1-1 draw at St Mary’s. 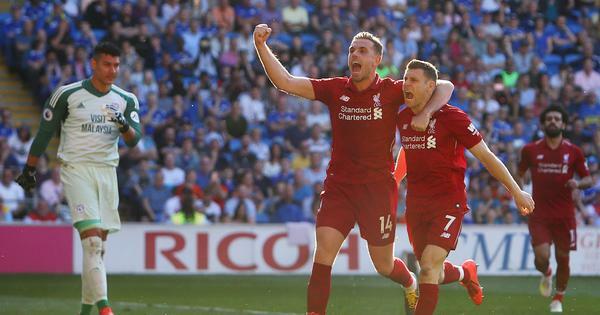 Mark Hughes’ team, thrashed 6-1 by Manchester City last weekend, took the lead in the 20th minute when Manolo Gabbiadini struck for his first goal of the season. It was Southampton’s first league goal in open play for 615 minutes. Referee Simon Hooper was under fire when Southampton’s Charlie Austin had a second-half goal controversially ruled out for offside against Maya Yoshida, who was stood near the ball but did not touch it. Watford’s Jose Holebas added to Southampton’s frustration with an 82nd-minute equaliser that took a big deflection off Southampton’s Cedric Soares. Sol Bamba’s last-gasp goal gave struggling Cardiff a 2-1 win over 10-man Brighton. Neil Warnock’s side marked their manager’s 100th game in charge of the Welsh club with only their second league victory this season. Lewis Dunk put Brighton in front in the sixth minute at the Cardiff City Stadium when he headed home from Solly March’s free-kick. But Callum Paterson headed Cardiff’s 28th-minute equaliser before the visitors had Dale Stephens sent off for a lunging foul on Greg Cunningham six minutes later. In the last minute, Bamba’s acrobatic volley rattled the post and the Ivory Coast defender followed up to slam in the rebound despite Brighton’s appeals for offside in the build-up.